So here it is - Our Easter pantomime is going to be The Little Mermaid. 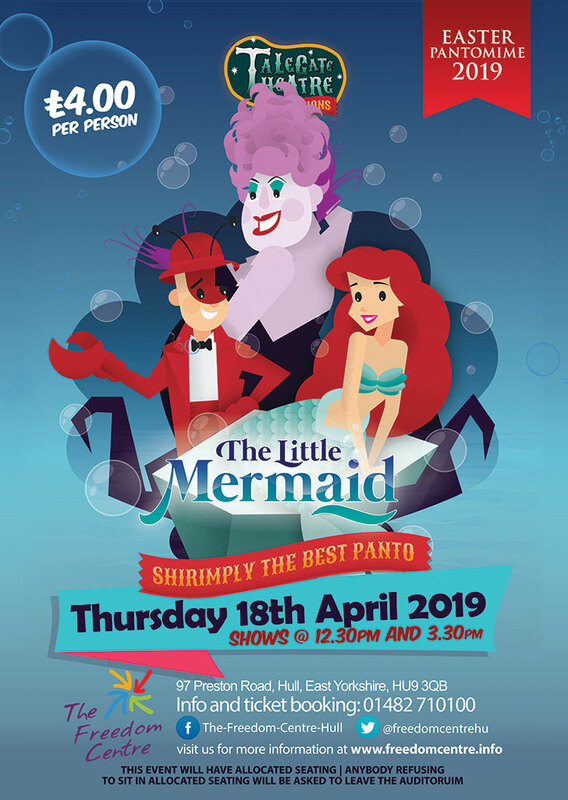 So here it is – Our Easter pantomime is going to be The Little Mermaid. Shows will be on Thursday 18th April 2019 @ 12.30pm or 3.30pm. Tickets will be on sale on Thursday 7th March 2019. We will sell tickets at the reception from 12.00pm and will open our phone line to sell tickets from 1.00pm. PLEASE BE PATIENT IF CALLING AS WE ONLY HAVE 2 TELEPHONES. Tickets will be allocated seating which staff will choose for you. On the day of the event anybody who are not willing to sit where stated will be asked to leave the auditorium. For more information please call 01482 710100.